I apologize for this late notice. With last nights sweep over the Diamondbacks I figured this event might be the perfect thing to help you continue with the celebration. 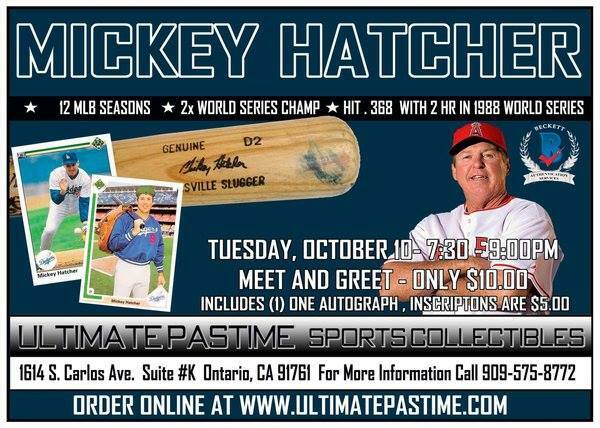 I've just found out that both 1988 Dodgers World Series hero Mickey Hatcher and former "Dodger of the Year" Al Ferrara will be signing autographs at Ultimate Pastime Collectibles in Ontario tonight. 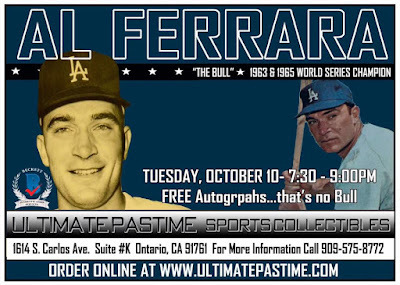 Go here or here for more information. Al Ferrara autographs are free, and Hatcher's will cost you a ten spot. Blog Kiosk: 10/10/2017 - Dodgers Links - Sweeeep!